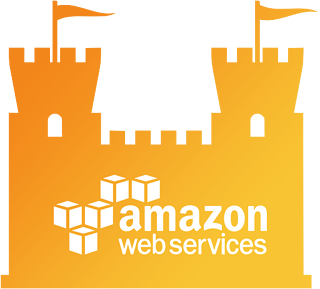 FundApps’ production systems are hosted by Amazon AWS in some of the most highly specified data centres available today, built to exacting, rigorous standards and delivering unparalleled security, power, connectivity and environmental control. AWS provides the world-class infrastructure necessary to keep FundApps' servers up and running uninterrupted around the clock. As we have control over both software and infrastructure, we are able to deliver best in class availability and security. The principle of least privilege is applied throughout: at the network, system and software levels to tightly control availability of data and reduce the potential for security breaches. AWS’s data centers are state of the art, utilizing innovative architectural and engineering approaches. Amazon has many years of experience in designing, constructing, and operating large-scale data centers. This experience has been applied to the AWS platform and infrastructure. AWS data centers are housed in nondescript facilities. Physical access is strictly controlled both at the perimeter and at building ingress points by professional security staff utilizing video surveillance, intrusion detection systems, and other electronic means. Authorized staff must pass two-factor authentication a minimum of two times to access data center floors. All visitors and contractors are required to present identification and are signed in and continually escorted by authorized staff. AWS only provides data center access and information to employees and contractors who have a legitimate business need for such privileges. When an employee no longer has a business need for these privileges, his or her access is immediately revoked, even if they continue to be an employee of Amazon or Amazon Web Services. All physical access to data centers by AWS employees is logged and audited routinely. All customer data sent to or generated inside Rapptr follows an Encrypted Data Lifecycle; all interactions with system occur over an encrypted protocol: Secure HTTP (HTTPS). We keep our supported cipher suites for the SSL encryption used for HTTPS in line with industry standards and regularly run external tests to verify this. The results of FundApps' SSL tests are publicly available. Once data enters Rapptr (our product) it remains encrypted in transit throughout our networks, which have additional security and privilege measures in place. On our AWS infrastructure, this data is subsequently encrypted at rest and employs a key management system which allows us to rotate the keys used for the encryption of these volumes on a regular basis. Backups are also stored encrypted at rest, meaning data is never available in the clear to be read by third parties. Access to Rapptr is via HTTPS; either for user interactions to the Web UI or for automated interactions with the API endpoints. We are able to provide further access security by applying IP restrictions to customer environments, preventing access from networks other than those of the customer site. These restrictions operate at a high level, before any authentication to the system and prevent any requests being made to the application at all. Individual customer datasets are isolated at infrastructure level using separate databases. A complete audit trail is visible inside the application and allows tracking of all operations taken inside the system, along with user access events. This auditing includes any support activities performed by FundApps staff. Our platform is hosted in facilities with top grade physical security; we host entirely within the EU with Amazon Web Services (AWS). AWS hold industry standard certifications relating to security and availability, including but not limited to ISO 9001, 27001 and SOC I, II certifications. Full details of the certification activities undertaken by our hosting partner are available via AWS compliance. We ship all log events generated on the platform to a central store for audit, reporting and alerting activity. Direct access to production systems is strictly restricted, to key personnel with a direct operational need and these accesses are reviewed on a monthly basis. Our AWS stack is designed with two primary failure modes: Failover and Disaster Recovery. Failover is catered for entirely within a single geographic region using a highly available primary environment. In this primary environment data is replicated synchronously between two database servers and redundant systems are used to ensure the maximum possible continuity of service. These redundant systems are distributed between two AWS Availability Zones (AZs) in a single geographic region (Dublin, Ireland). AWS have multiple AZs per geographic region, but each AZ has discrete power and internet connectivity. We use two availability zones simultaneously for web traffic, reducing the effect of any failure on the availability of the service. Disaster Recovery functionality is provided from a secondary geographic region (Frankfurt, Germany) and this mode is intended to meet a 4 hour RTO in case of total loss/failure of the primary environment. This is facilitated by shipping backups on a regular basis to encrypted storage in the region. Configuration management and automation allows spin up of the other platform components in this region to support a deployment of the system in the absence of our primary geographic location. We have automated monitoring of critical conditions for both infrastructure and software in the platform. These conditions create alerts following escalation policies and where necessary alert operators on a 24/7 basis to preserve the integrity and availability of the platform. Application performance and infrastructure metrics are used for capacity planning and platform management; ensuring there is always sufficient capacity available across the platform to satisfy all demands.